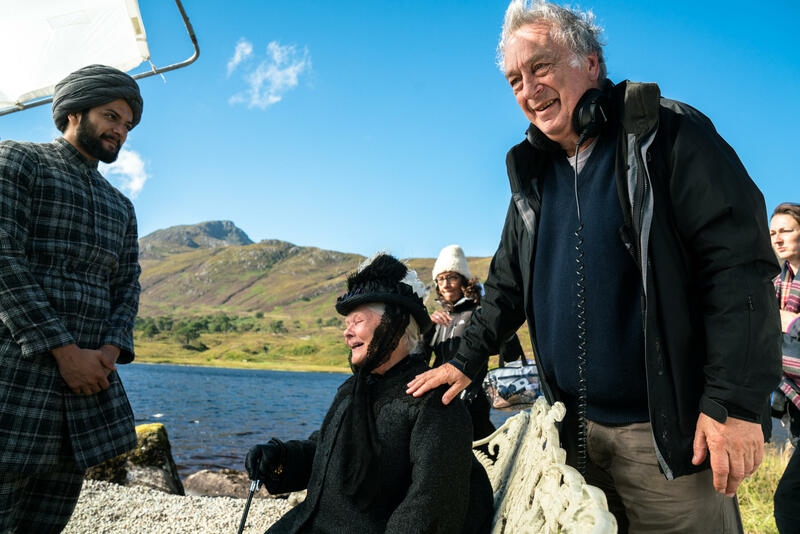 Dame Judi Dench says, of her fellow actors, “It's not the good ones who are always working. It's the lucky ones.” And she admits to always being fearful of not getting cast. Yes, it is often a mysterious path that leads some actors to success, and leaves others on the side of the road. And, as Dame Judi insists, talent seems to have less to do with it than you might think. But there are things you can do to enable luck to be in your favor. “Good luck,” my old acting teacher used to say “is when preparation meets opportunity.” You only have control over the prep part, so why not make the most of it? Working with hundreds of actors over the years has given me an up-close look at how some roadblocks we face are obvious, but not always dealt with effectively. Lack training? Get into class. Lack a great headshot? Call Jordan Matter and get one. Lack Film/TV experience? Odds of getting cast in a student or independent project are very high, you don’t need to be SAG/AFTRA, and often these little films can give you both the experience of working with knowledgeable directors, etc., and also provide footage for a reel. Lack footage for a reel? See C.
…to be an unknown actor. And for many, this is not so obviously fixable. Unknown actors, no matter how well trained, no matter that their headshot is awesome, no matter how great their demo reel is, and yes, no matter how talented they are, can be as dead in the water as anyone who doesn’t have any of those things. Why is being unknown such a roadblock? Because in casting, as in every other business where people make hiring decisions, there is a pronounced tendency to “hire who you know”. This applies to corporations, coffee shops, and casting offices. Only when there are no good “known” candidates are employers willing to venture into the “unknown”. Most actors fall into the category of “unknown actor”. Casting directors, producers and directors prefer candidates for any particular acting job to be someone they are familiar with, and not just because a “known” actor could bring extra legitimacy to a project (although that clearly helps at the higher levels of “name” actors), but also in the comfort level of “going with the tried and true”, a human instinct. A “known actor”, in this sense, is someone that casting is familiar with, whether from seeing their work, or from having cast them before. As much as we all fantasize about breaking through to greater success, and even entertain thoughts of being “discovered”, the path of success is rarely sudden, or out of the blue. It’s built incrementally. Every audition you have is an opportunity to leave an impression. “She’s not right for this job, but I do like her” is something that is said frequently just after an actor has left the audition room. And it adds up. It might take four, six or eight reads for a particular CD, but even though not one of those auditions resulted in a job, you are then no longer an “unknown actor” to that office. Your odds of getting the next job are much greater, just from having had that exposure. I see very talented actors, who come to me for demo reel editing or for shooting a self-tape, and who are right at the doorstep of becoming a “known actor”, and yet they are not doing all they can to break through. Wasting their talent, in my opinion, because it’s easier to let the stones lie than to turn them over. The takeaway here is to make sure you don’t slack off on pursuing auditions, no matter how little success you think you’re having. Self-tapes, done well, are a tremendous opportunity to audition for casting offices far and wide. Either in the room or on the computer screen, you have a great chance to make an indelible impression. And don’t overlook opportunities to get yourself in front of industry people who are actively looking for you. If they don’t see you it’s not their fault, it’s yours. We have 8-12 industry people every month on ActorsInsite.com that are actively looking for new actors. They are on our site to watch demo reels and self-tapes from actors whom they usually don’t know, and give them their feedback on what they see. Very helpful in itself. But most importantly, once you have shown your work to an industry pro, that industry pro can’t “unsee” you. They will remember you. You are now an important step closer to shedding the label “unknown actor”. Some other insite (sorry) from Dench, who’s new film Victoria and Abdul just came out. Filming wasn't something I ever expected to do. But when I found myself doing it, I thought, the only way you learn is to watch other people who are very good at it. And you soon understand that first important lesson - and, of course everyone is told it, but you never quite want to believe it - that less is more. When we're young, we're all very keen to go all out and try everything. You think, this is all terribly complicated and I've got to find a way to work that all out and get every bit of it onscreen. But eventually you realize it's far more powerful if you can convey an emotion with one look. When I was playing Ophelia then (sixty years ago! ), oh, I tried every way I could, everything I could think of to make the audience understand that she was mad. Now, I know that I only need to choose one thing to do that. But you don't want economy when you're in your 20s. You don't trust it. Now, in my 80s, I know that, and could play it that way. But I'm afraid I would be a very, very old Ophelia now.